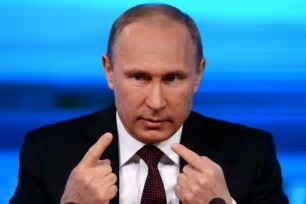 Russian President, Vladimir Putin, has rubbished the belief that the United States would defeat Russia, if the two engage in a war. “Nobody would survive the clash”, Putin told US movie Director, Oliver Stone, for The Putin Interviews. Putin also expressed concern of the US military action, and its NATO alliance. In 2014, NATO kicked against Moscow’s annexation of Crimea, and has since stationed its resources to defend allies near Russia. In its response, Russia warned that the move is aggressive, and has vowed to respond with its own deployments.